While visiting the Kalamazoo Home Expo, these homeowners stopped by our booth to see how we could help them in their new landscape project. There was a retaining wall in the back that desperately needed to be replaced, three actually. The homeowners also wanted to be able to have easier access from the front to the lower back patio. 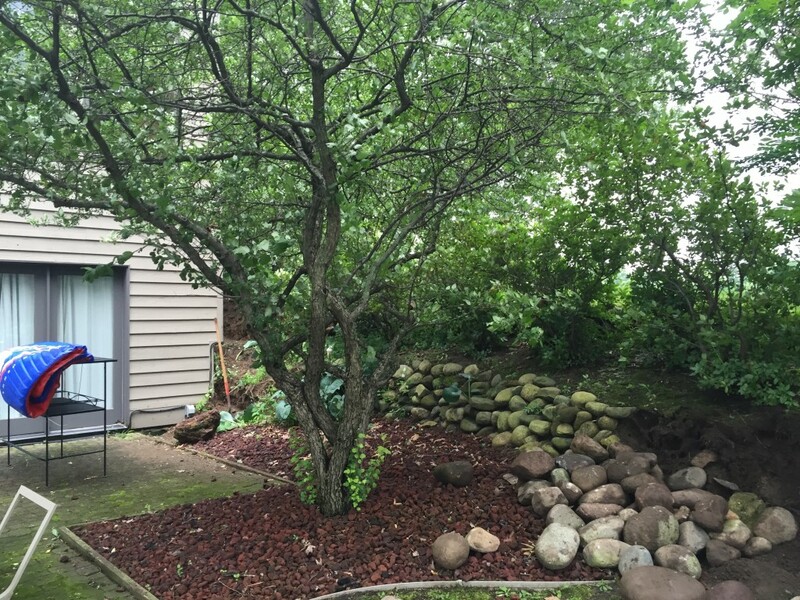 And speaking of lower back patio, these Kalamazoo homeowners wanted that to be redone as well, since it had nearly run its course over the years. This was the top priority, since the existing retaining walls weren’t very functional. 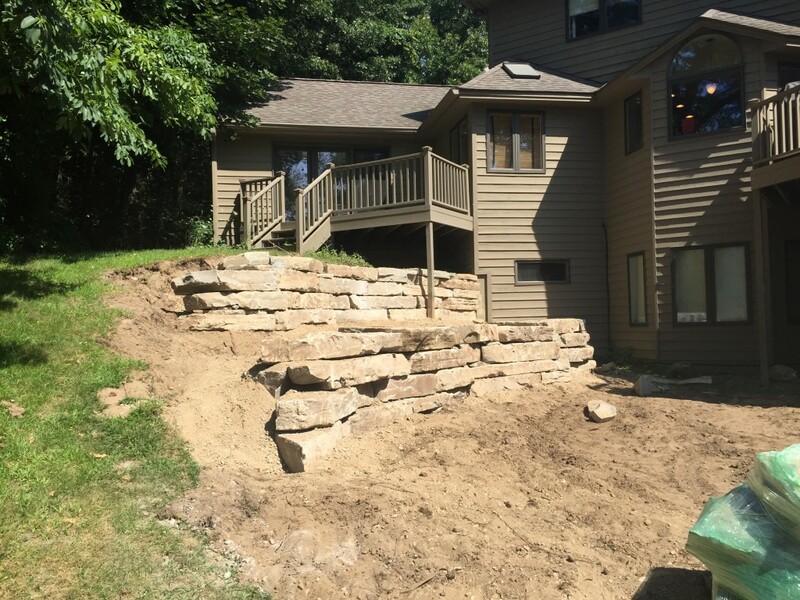 We created a two tiered retaining wall, which included steps coming from the side yard down to the lower patio for easy access for these Kalamazoo homeowners. 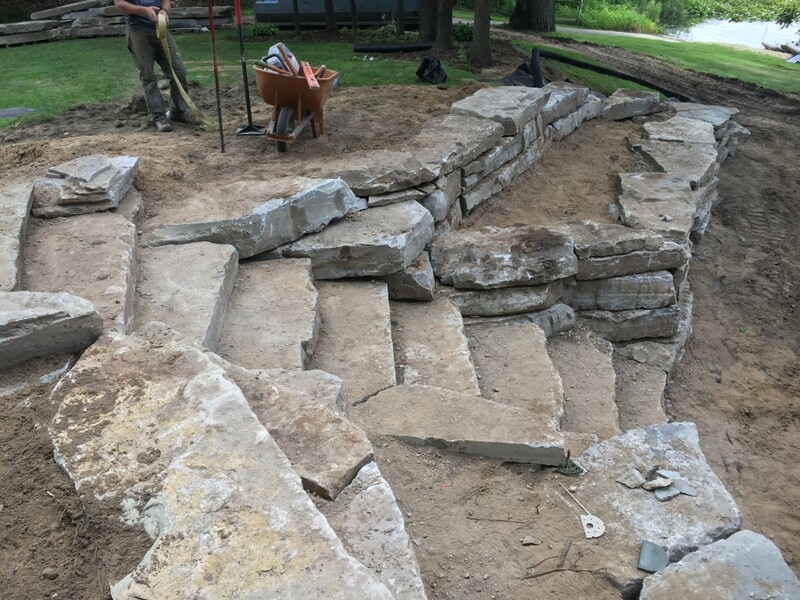 On the opposite side of the backyard, there were two additional retaining walls that also needed replacing. We removed the existing back patio and replaced it with a new decorative stamped concrete patio. Which will be easy for these Kalamazoo homeowners to maintain…and better yet enjoy! Check out some additional projects for inspiration or give us a call today to get started on your next project!